Hello Jan, I will try to ask Irene when i next see her, but sadly no guarantee that she will remember which pattern! Maybe. 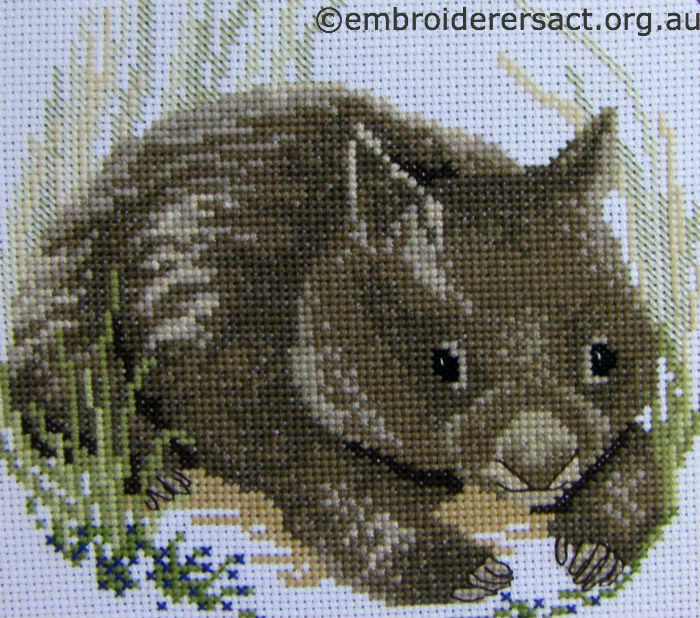 ..
Is this cross stitch of the wombat available still and how can I purchase it. Sorry, Julie, I think this one might be an old commercial kit or design that is no longer available. Several years ago I got the Semco Kit No. 6016-4543 (the wombat). Now I would like to do it, I have the pattern, floss but no sheet showing what color each symbol on the chart refers to. Hope someone could send me an email copy of it. Leona, I will ask the member whether she might still have the colour legend sheet (I don’t know whether she’s one of those people who neatly files their old patterns, or not! ), and will let you know.